Stand Out! Super tips to help your budding entrepreneurs set up the sweetest lemonade stand on the block. Head to the dollar store to pick up plastic pitchers, napkins and small paper cups. You’ll also need a sturdy table, chairs, a cooler, ice and lots of Country Time Lemonade Drink Mix. Grown ups: Mix together two or three pitchers ahead of time and be on hand to refill them. Bring in the crowds by posting signs around the neighborhood. Grown ups: Remind kids to take down and recycle the signs afterward. Set up next to a garage sale or other neighborhood event. Or pick a nice, shady area in front of your home. Keep your stand clear of passing cars. Grown ups: Ensure the stand is in clear view at all times and make your presence known. Set your price upfront. Charge between 25 and 75 cents, depending on competition. Let the kids decide on a favorite charity to which they can donate their earnings – Alex’s Lemonade Stand Foundation is a good one! Be sure to tell customers the money is going to charity. 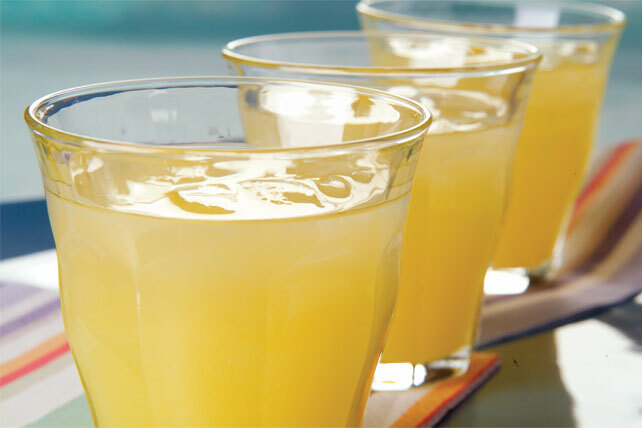 To provide the coolest refreshment, keep pitchers of lemonade in ice-filled coolers – don’t pour into cups ahead of time. Give them something different: sell delicious take-away treats as well.